The first in a new video series I’m doing. It is called Friday Afternoon Catholic. 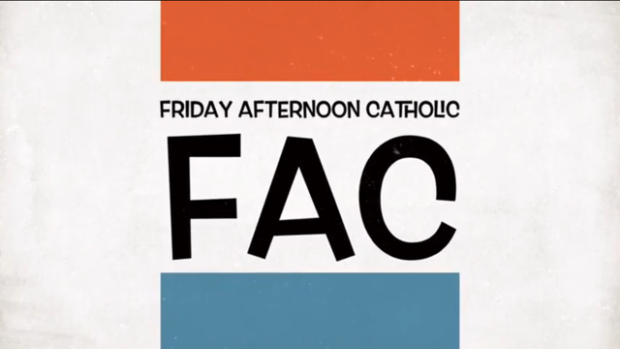 It doesn’t suggest that we should only be Catholic on Friday afternoons 😉 But Friday afternoon is the time I’ll post each new video. It is an effort to have a little fun with the faith while talking about things that matter in our lives. If you enjoy it, consider subscribing to my Youtube channel. Also consider sharing the video with others through e-mail and on social media. You can click here to see Episode #1. And as always, any comments are appreciated.